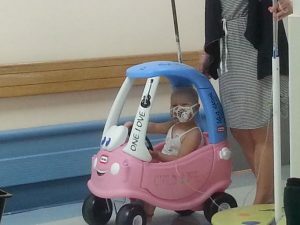 At three years old in February 2016 Maya Josephine Morrison was diagnosed with B-Cell Acute Lymphoblastic Leukemia (ALL) and began treatment. This site tracks Maya’s journey, and we hope it will provide useful information and hope for other kids and families facing similar challenges. The journal posts, pictures, and links here are a tribute to the will of people to support each other in times of need and to the indomitable strength of Maya the Dragon. Please explore our pictures and journals, and feel free to reach out with questions. We’re happy to share for awareness or support. 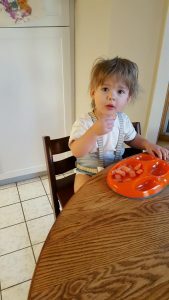 After more than two years of treatment, our family is adjusting back to real life– a little weary but intact and thriving. We are thankful for so many things, not the least of which is the ever present strength of community that has lifted us up every step of the way. Please join us in thanking the everyday heroes who are the spirit of our Northern Nevada Community. THANK YOU FOR SUPPORTING NORTHERN NV CHILDREN’S CANCER FOUNDATION @ MAYA’S ALOHA CHEMO CELEBRATION! $9,505 raised to support NNCCF! THANK YOU FOR SUPPORTING SARA BRAVING THE SHAVE! $6,000 raised for children’s cancer research! We continue to write journal posts on both caringbridge.org and here on MTD. 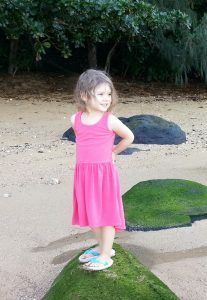 Once Maya stops treatment, we will likely just update on mayathedragon.com. The wonderfully supportive comments from those following on caringbridge will take more time to move over–please visit Maya’s caringbridge site to read the uplifting, loving, and beautiful sentiments that keep our spirits floating above. Please visit our friends page. Please visit Maya’s Knights for a humble tribute to our supporters. It all began: On February 11, 2016 Sara and I noticed some unusual bruising on her arms, shins, back, and chest. Maya’s baby brother, Lincoln, had a pediatrician appointment scheduled for the following morning, so we decided to piggy back on Lincoln’s appointment and have Maya checked out. The doc recommended that we take Maya to Carson Tahoe Hospital to do lab work. The results came back within a few hours with the shocking possibility that Maya might have leukemia. Panicked and disoriented, we packed up the kids and a few items, and within twenty minutes we were on the way to Oakland Children’s Hospital. Maya was admitted late that evening. 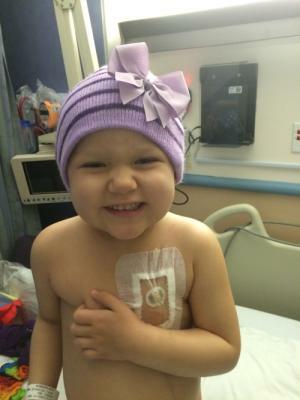 The diagnosis was confirmed–Maya had leukemia cells in her blood. She received a blood transfusion and platelets that night. She began to receive intravenous antibiotics and fluids to support her compromised immune system and protect her organs. For the next few days, Sara and I felt as if we were floating in space while world whizzed by. We are forever grateful to our parents and others for boundless support. 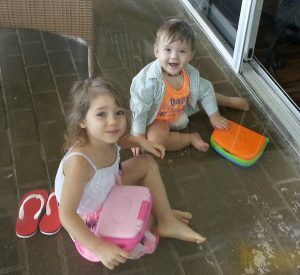 During Maya’s 12 day stay at Oakland Children’s, Lincoln wasn’t allowed up to see Maya, and Sara was torn between worlds with a nursing one year old and a sick little girl stuck in different locations. Lincoln helps Nurse Pam take Maya’s labs at chemo clinic on February 26, 2018.